Ford will have more than 150 performance parts and accessories available for the new Ranger when it goes on sale early next year. To preview these offerings, the automaker is introducing seven custom Rangers ahead of this year’s SEMA show in Las Vegas. 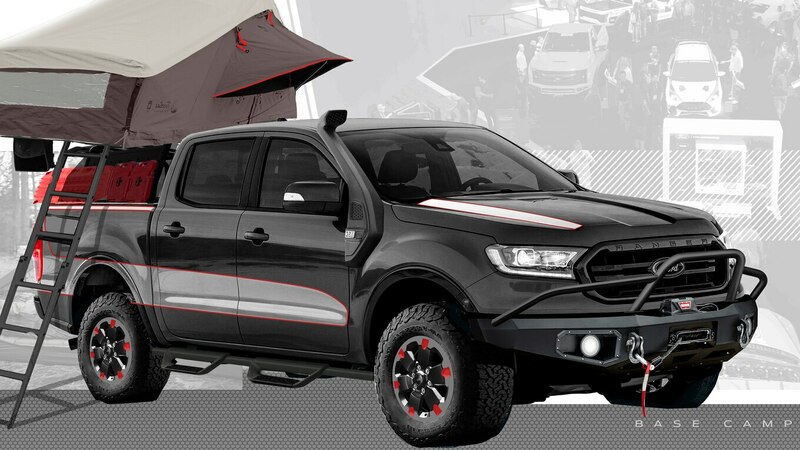 Designed for scouting trails, this 2019 Ford Ranger features a 3-inch leveling kit with off-road shocks and BDS upper control arm kit. 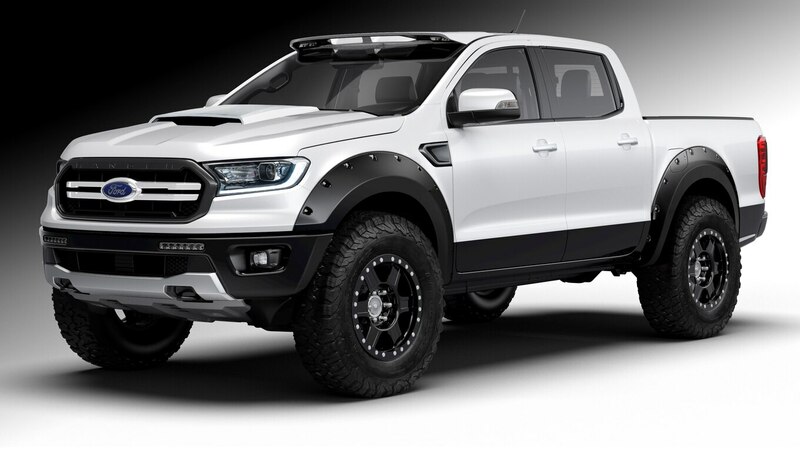 It has the Ranger’s FX4 off-road package, which includes exposed front tow hooks, an off-road-tuned suspension, different terrain modes, and a few other updates. There is also a Ford Performance differential skid plate kit and differential cover. 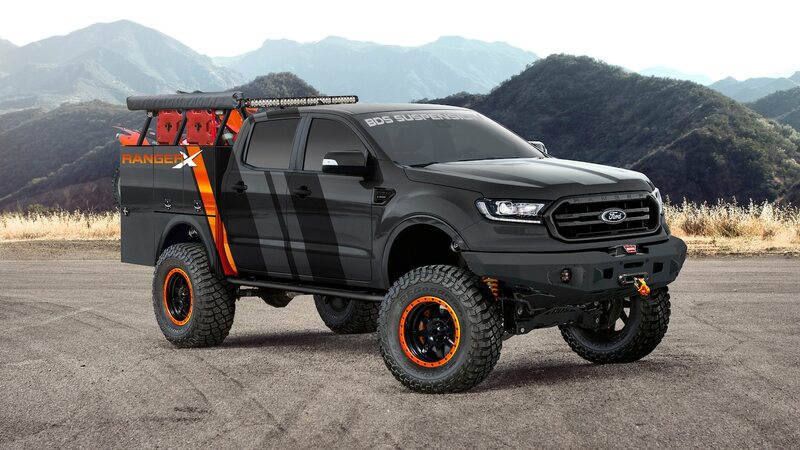 Ford didn’t forget about the importance of lighting; it added a 40-inch light bar, a white rock light kit, amber spotlights, and a hood hinge-mounted off-road light kit. 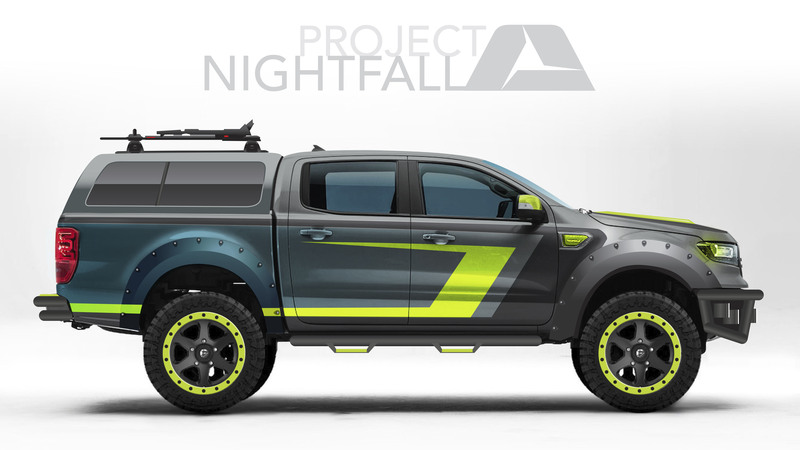 Don’t be fooled by the exterior; this truck (shown above) is as much geek as it is off-roader. It has Xbox One X game consoles mounted behind the rear seats, and 42-inch high-definition external screens so users can play from the bed of the truck. 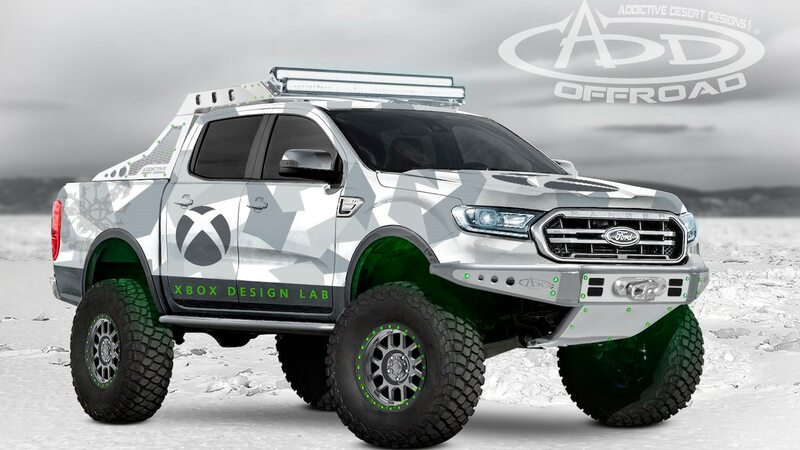 Plus, it has an Xbox theme wrap and lighting. 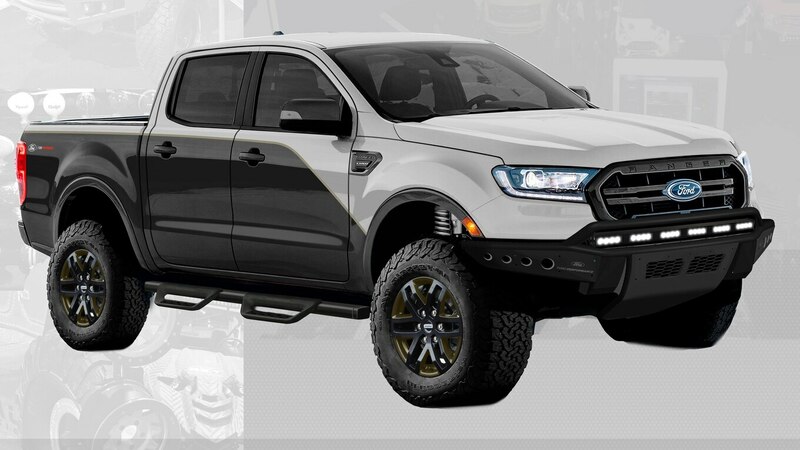 We’re sure this Ranger is plenty capable like the rest of the concepts, but all we can focus on are its huge fender flares. These manage to make the model’s 20-inch black wheels appear quite small. Complementing the fender flares are door rocker moldings, fender vents, a tailgate spoiler, and a prominent hood scoop. It doesn’t get all the off-road fixings, but it does have BDS Suspension upper control arms and special DSC coilovers and Fox rear shocks. It also gets beefy 33-inch off-road tires. 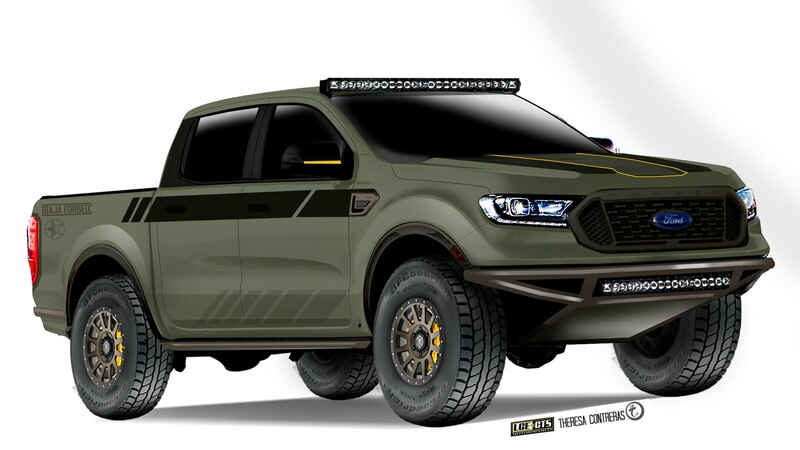 The post 2019 Ford Ranger Gets the SEMA Treatment appeared first on Motor Trend.